Beauty Tip: How To Use Tea Tree Oil for Ingrown Hair? Home » Beauty Care » Beauty Tip: How To Use Tea Tree Oil For Ingrown Hair? 1. Can tea tree oil help your ingrown hair? 2. How to use tea tree oil for ingrown hair? Ingrown hair is a common skin condition that primarily happens after our hair removal treatment. It’s easily seen with those who have curly hair. And whether on the face or legs, getting ingrown hair in public is quite embarrassing and uncomfortable for both men and women. So preventing them from returning in the first place is a must do, and we recommend you to use tea tree oil for ingrown hair in such recurrent cases. Can tea tree oil help your ingrown hair? As we know, ingrown hair, as its name suggests, is what will curl backward and then begin growing inside our skin. This would clog and block the hair follicles due to the dead skin or our act of shaving and waxing the hair off our skin. The problem tends to be extremely painful and causing red bumps as well as plenty of discomfort and irritation for the skin. When an ingrown hair arises, it means your hair strand develops downward and becomes trapped under your skin. At times, this hair can become a cyst, which is also known as the INGROWN HAIR CYST. It’s a little and painless lump. But DO INGROWN HAIR GO AWAY ON THEIR OWN? It’s true that they feel very itchy, but there’s no need to worry since they can go away without doing anything! If that indeed happens, then HOW LONG DO INGROWN HAIR LAST? Well, it will take several days and even weeks for them to be cleared up completely. Thus, to make them disappear faster, let’s use tea tree oil for ingrown hair. Tea tree oil or sometimes known as TTO is a melaleuca oil. The product is capable of removing the ingrown hair effectively, which makes them more popular as a natural therapeutic solution . People use it to prevent the ingrown hair by applying it to the infected skin area soon after their hair removal treatment. During the process, the skin can be cleaned and then it’s left a smoother and softer texture, which helps the hair grow normally on the skin surface and not lying underneath it. If anyone asks you whether tea tree oil for ingrown hair can help, just answer ‘yes’ because it’s truly effective. 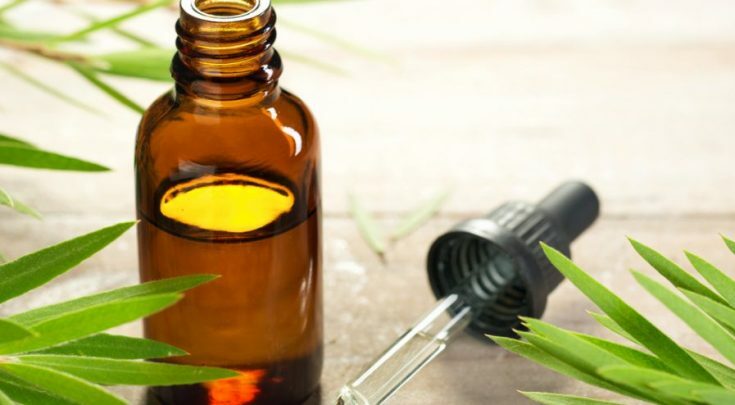 As compared to the other ESSENTIAL OILS FOR INGROWN HAIR, tea tree oil does not only have the intense antiseptic properties or the ability to cure wounds but also works well on the ingrown hair. Though the hair probably resolves on its own, using tea tree oil is something useful in urgent case when you want to remove them fast. According to the skin experts, the tea tree oil for ingrown hair also owns the anti-inflammatory properties which can help to diminish inflammation on any bump. This works effectively on those who have been already formed after your ingrown hair development. Furthermore, In case you don’t know, it’s possible to gain more benefits from using it, from shielding bacterial infection into the red bumps to reducing the razor bumps. 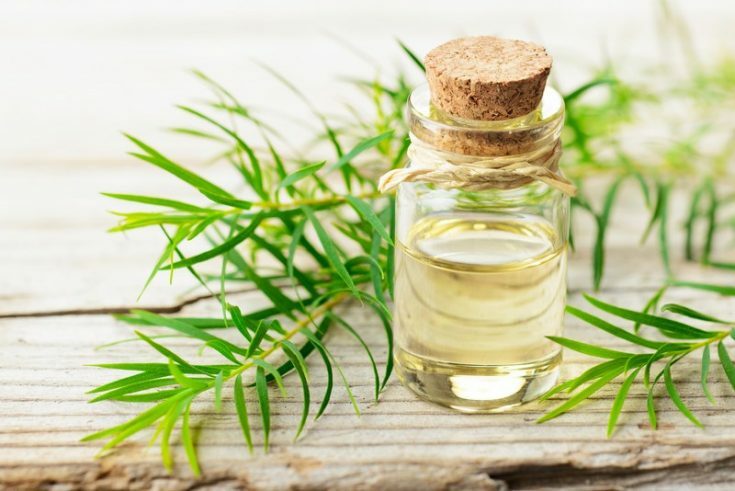 As claimed earlier, tea tree oil for ingrown hair has the natural power to get rid of ingrown hair and decrease their frequent appearance on the skin. Having ingrown hair hurts a lot, and when they grow into bumps, the skin condition will irritate and then inflame the complexion. This is when you have the ingrown hair infection! Though it’s not a severe issue, you still have the underlying medical condition that causes it. In a few cases, as your ingrown hair takes a long time to recover, the pus might grow inside and lead to swelling or pain. And note that any of these signs arise, all you must do here is to use the tea tree oil for ingrown hair. Doing so will help a lot in reducing that bump swelling and recovery the wound quickly. Ingrown hair growing on the face would make you lose confidence when having to interact with anybody in person. You’re given an ugly look in the eyes of the others, which is not a great thing at all. It turns out to be much worse than that once you start to have facial razor bumps. As it happens, use tea tree oil for ingrown hair on your face. Watch out after shaving or waxing at home; the ingrown hair will show up at any time, so make sure to prepare the tea tree oil at hand. This oil helps to diminish all raised bumps on your facial skin, so it surely removes your ingrown facial hair. Come to exfoliate the skin surrounding the infected hair. Besides, these ingrown hairs are likely to leave behind a few bad-looking scars. If so, HOW TO GET RID OF INGROWN HAIR SCARS? In fact, there are many things to treat them, from using natural remedies to conventional treatments (Cortisone cream or a lightening cream). To minimize the risks, try not to pick or squeeze any ingrown hair scar or hair yet let them heal on their own. But if you truly care about the look of your scar here, then hurry to see your dermatologist. Bear in mind that ingrown hair with razor bumps show up more often than you thought, particularly to those who own curly hair (African-American people). Well, the true nature of this hair type usually develop back to the skin and get inside the skin again through the so-called hair follicles. Since the bumps show up more frequently once after you finish shaving. This might be painful and irritating at the same time if your pus grows inside that bump. Just picture that it will resemble a little pimple which shows up so swollen and red. If not curing it properly, it would become more infectious and cause you a lot of discomfort without knowing . So what’s the DIFFERENCE BETWEEN CYST AND PIMPLE? A pimple is the outcome of the skin’s excess oil that is trapped in the pores. Meanwhile, a cyst is supposed to be a fluid-filled bump lying underneath your skin. And these are usually confused with skin abscesses. Most of them are harmless to your health, but we can drain it on our own. So HOW TO DRAIN A CYST WITH NO HEAD? Use some natural oils or herbal treatment. For razor bumps, instead of using tea tree oil for ingrown hair, some people choose to rely on some home remedies. This action only makes the problem much worse than ever! For example, when you risk picking off or digging at the bottom of your ingrown hair at times. This is considered unsafe if you don’t lift the hair out with a sterilized pair of tweezers. Step 1: Clean up your infected skin area with antibacterial soap. Step 2: Apply five drops of tea tree oil for ingrown hair on the affected area. Step 3: Massage the razor bumps gently within a few minutes. Step 4: Leave the oil there from 10 to 15 minutes in total. Step 5: Wash the applied skin with lukewarm water afterward. Step 6: For the most optimal results, you must follow this procedure twice a day. Did you know that your ingrown hair can show up around your armpit area and bikini line? In this case, you maybe wondering HOW TO GET RID OF INGROWN ARMPIT HAIR to remove such an embarrassing experience, right? It’s often essential to learn the actual cause of such ingrown hair covering your bikini area. If the issue is led by any underlying medical condition, don’t hesitate to make an appointment with your health care provider for the more accurate diagnosis. Once it’s caused by your conventional hair removal techniques, like waxing or shaving for instances, then tea tree oil for ingrown hair is the best natural remedies you must use. Let’s apply a few drops of oil on that bikini line about twice a day. The oil works well by decreasing your ingrown hair from getting red and swollen as well as easing your annoying pain. How to use tea tree oil for ingrown hair? Ingrown hair is just nothing but only the hair rolling into your skin, which laters causes the bad-looking bumps. Worse than that, they easily get infected, leading inflammation, suppuration, and hurtful feeling. To save you from this risky situation, using tea tree oil is a necessity. To make this tea tree oil scrub, you’re required to use two tablespoons of sugar that should be granulated. And then use one tablespoon of coconut oil and then five or six drops of tea tree oil for ingrown hair. Next, try to mix all of them well and then exfoliate your legs or any affected skin area with it. Do it gently right after cleaning up your complexion with warm water before rinsing it off. Later, dab to dry and hydrate the infected spots with a moisturizer. Try to do this repeatedly every morning right in your bath. Another good way to use tea tree oil for ingrown hair is soaking your affected skin area in it. Doing this can help open up all of the pores, loosen the ingrown hair, and better than this is decreasing the inflammation. Come to get a bowl containing warm water. After that, you can add from ten to twenty drops of the oil. Dip a clean and soft and fluffy cloth into that bowl and start wringing it lightly. You can then put the cloth on your skin area and allow it to soak in. Remember to repeat the process again and again as you desire. It’s time to make the mixture of tea tree oil – add six drops of the natural oil to two tablespoons of distilled liquid. Again, soak a clean cotton ball and then dab it on your infected skin region after the cleanup. Leave it there so that it can work overnight before rinsing it off during your bath. Wash or clean your affected skin area with soap and water. 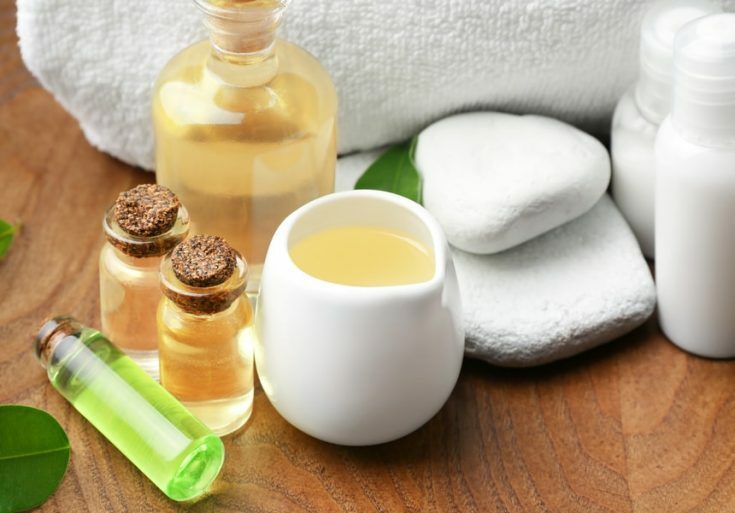 Apply five drops of tea tree oil on the skin with ingrown hair. Massage the oil into the ingrown hair. Leave it there for around 10 – 15 minutes. Rinse it off carefully and then repeat the whole process about twice a day for the most effective results. Mix two drops of olive oil with 15 drops of tea tree oil before placing it in a darker bottle. Utilize a cotton swab to apply this mixture straightforwardly on your skin area that has the ingrown hair. This procedure needs to be repeated until the ingrown hair gets healed. 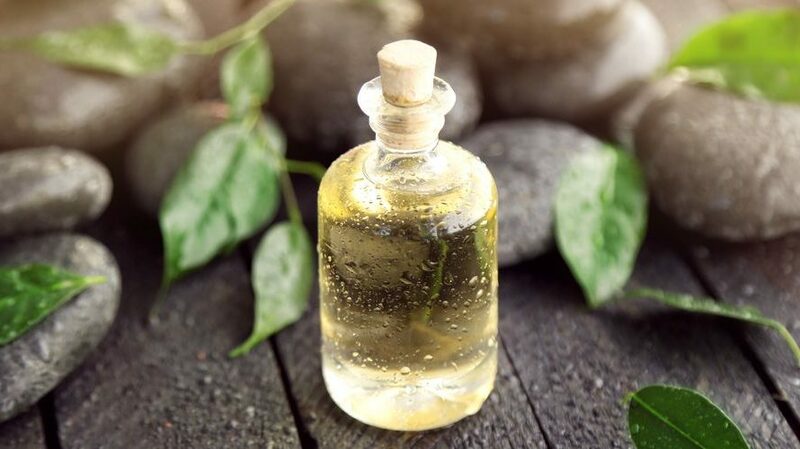 Mix 10 – 20 drops of your tea tree oil for ingrown hair with warm water. Soak a soft washcloth to apply it to the skin area that has the ingrown hair. Try to repeat the entire process as several times as needed for your full recovery. Consider using the solution of removing your hair. Some people would suggest that wax can be used to promote the creation of your ingrown hairs. Meanwhile, a few others might claim that shaving probably causes more than that. Apparently, what wax does here is to weaken the roots of your hair follicles, which might cause the new hair not to have enough strength to go through the skin surface. For shaving, it probably leads to ingrown hairs, but then the root won’t be diminished at all. Take great care of your skin. Once the hair follicles start to have oil, dirt, dead skin cells, or even bacteria, this would be much harder for new hairs to develop. To stop this from happening, try to exfoliate your skin every week, cleanse up and never forget to moisturize it daily. Besides, buying non-comedogenic items to help doge blocking your pores. Practice shaving the right way. Is this is the best way you trust for the hair removal, pay closer attention to the steps we’ve shared now: First, soften the skin surface by using warm water and soap. Do not shave against the direction your hair tends to grows, but only use the lighter pressure every time you’re supposed to shave. Just avails a new blade every two times. Destroy bacteria after removing your hair. Avail some antiseptics such as tea tree oil for ingrown hair for the best infection prevention. It’s fine to apply it to your skin a few hours right after your act of shaving or waxing. Dilate your pores with hot water or steam your affected area. You can apply a hot towel to your legs to make it much easier to get rid of your ingrown hairs. Stay away from utilizing the similar wax several times if you do it at home. While in some salons, they probably use the same wax again for many days and even weeks. For this reason, it’s one of the best ideas to use your wax one time. Prevent the ingrown hair from reappearing in the hot summer days or while becoming active in sports. To do this successfully, be careful about sweating up from your athletic suits that seem too tight to wear. These can grow your ingrown hairs for sure. When it happens like this, it’s a great idea to use and apply tea tree oil for ingrown hair or Vaseline to prevent that irritation. Once you’ve done with the exercises, try to wash the most sensitive areas thoroughly so that your hair follicles could breathe. Last but not least, watch out during a shaving or waxing session because the ingrown hair tends to emerge when your hair removal isn’t done the right way. If it happened, then use tea tree oil as claimed above to reduce the ingrowths. And follow our guide to using tea tree oil for ingrown hair, and don’t pluck the hair out completely! Try to do this properly so that your hairs are stopped from growing back to the skin.